« 31 Days of Orvieto: Day #4 – FUN FACT DAY! 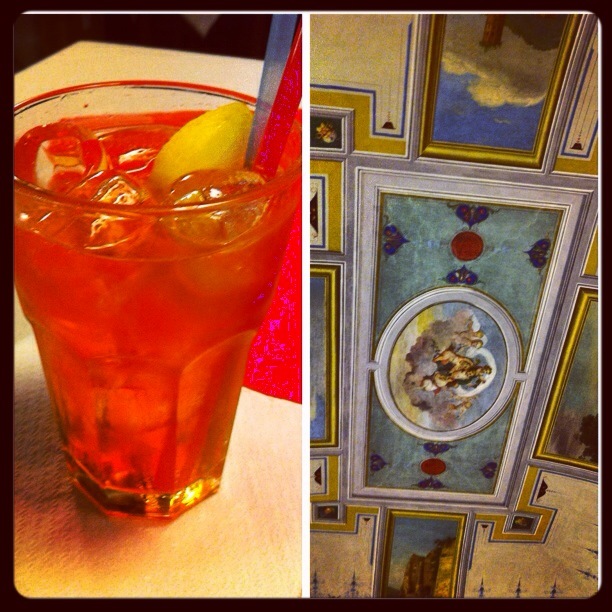 31 Days of Orvieto: Day #5 CULTURE! 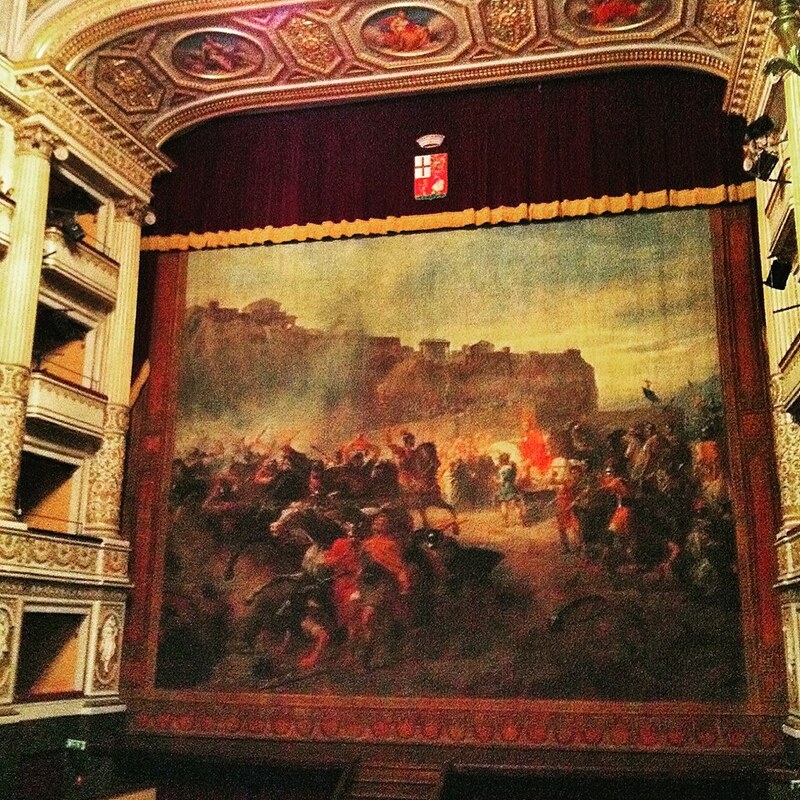 When you walk up the Corso Cavour from the funicular station, you’ll find the neoclassical, 560-seat Teatro Mancinelli. It hosts international theatre companies, avant-garde, jazz, dance and music. But, it’s the Fracassini masterpiece – a painted curtain (completed in 40 days) depicting the 535 AD event when a Byzantine army drove the Goths from Orvieto – that will blow your socks off! 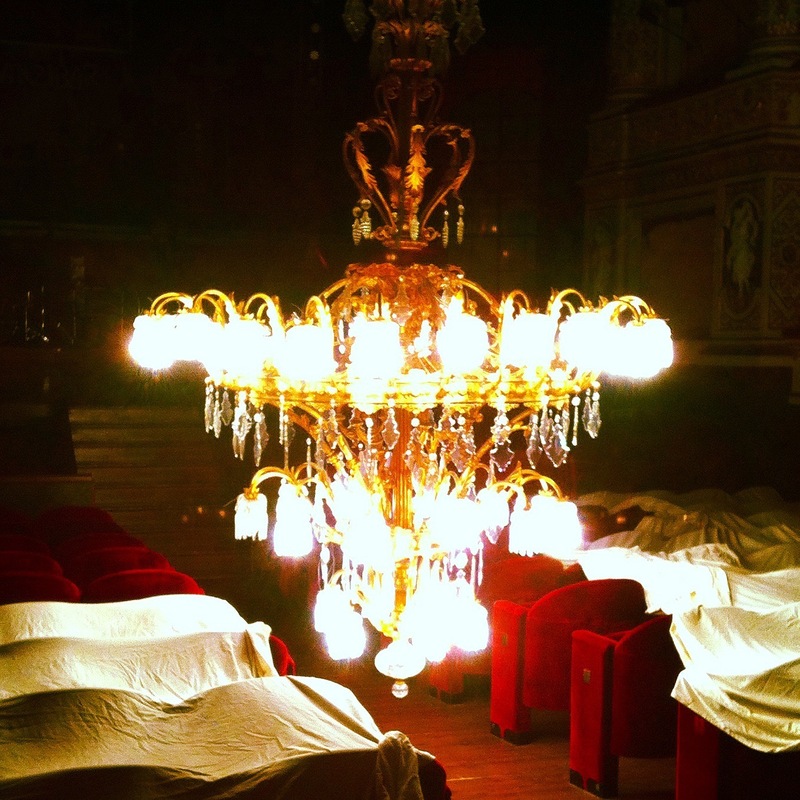 Visit the theatre for a self-guided tour and then afterwards, have a coffee or ‘lo spritz’ at the beautiful Caffe Del Teatro Mancinelli. Share! Like! Visit! In October my husband and I are visiting Italy, both for the first time. We will arrive in Venice and then wend our way southward over the following four weeks. Right now Orvieto does not feature in our plans, but I must say your blog makes me think we should look at our itinerary again. Nice work, Toni! Forgot to mention my father’s family the Ferrata’s were from Gradoli on the way from Orvieto to Bolsena. Home of Cardinal Domenico Ferrata Secretary of State to the Holy See (voted Pope and murdered same night although the Vatican said it was a heart attack) in 1914. His tomb is in his chapel is in Gradoli’s cemetery. My father born the same year was named after him. Also home of great uncle Giuseppe Ferrata world famous violinist composer and founder member of Tulane University Music Department in new Orleans. My Grandma Alda Nenci was great granddaughter of renowned artist Francesco Nenci in the Florence Galleria Moderna. Hi frescoes adorn many of Siena’s finest villas. Just thought it may add a little interest to your visit round Tuscia territory. Buon viaggio, e cari saluti.